Editor's Note: Pastor Roger Barrier's "Ask Roger" column regularly appears at Preach It, Teach It. Every week at Crosswalk, Dr. Barrier puts nearly 40 years of experience in the pastorate to work answering questions of doctrine or practice for laypeople, or giving advice on church leadership issues. Email him your questions at roger@preachitteachit.org. What does the Bible say about cursing and spells? Can a person be cursed? And by cursing I mean, when someone says something bad is going to happen to you...that kind of cursing, cursing your future. In the Bible curses and spells are forbidden practices (Deuteronomy 18:10-12). Let no one be found among you who sacrifices their son or daughter in the fire, who practices divination or sorcery, interprets omens, engages in witchcraft, or casts spells, or who is a medium or spiritist or who consults the dead. Anyone who does these things is detestable to the Lord; because of these same detestable practices the Lord your God will drive out those nations before you(NIV). To curse is to wish that bad things happen to someone or to something. On the other hand, to bless is to wish that good things happen to someone or to something. When we think of curses, many of us immediately think of Voodoo. We picture someone pushing pins in little dolls which represent those they hate so that bad things can come upon them. We think of persons casting spells. However, Voodoo is much more than that. Voodoo a religion practiced chiefly in the Caribbean countries, especially in Haiti. It is a mixture of Roman Catholic rituals and the animism and magic of slaves from West Africa. In Voodoo, God rules over a multitude of local deities, deified ancestors and saints, who communicate with dreams, trances, and ritual practices. We have become de-sensitized to witchcraft, curses, and spells in today's culture. One Sunday evening I had this terrible sense of dread that I would never see another Sunday. The sense of death was overwhelming. Each day was agony. I was peddling furiously on the exercise bike Thursday evening when the phone rang. One of our counselors had just finished a session when a woman confessed that she and her friends in a witches' coven had prayed a death curse on me the previous Sunday night. I was overcome with relief. I now knew the spiritual battle I faced, and I knew how to handle it. I climbed off the bike, fell to my knees and prayed for the Holy Spirit to cancel any curses or demonic attacks placed against me. I asked Him to build a hedge of protection around me to protect me from any evil Satanic intention to harm my family or me. The dread disappeared. I have no doubt that we can postulate a number of theological frameworks to reconcile the experiences like those I mentioned above with Biblical truth. One well-known theological construct guarantees Christians that they need not worry about curses and Satanic attacks because "...nothing can separate us from God's love" (Romans 8:37-39, and "greater is He that is in us (the Holy Spirit) than he who is in the world (Satan) (1 John 4:4). This theological construct assures us that God's love for us is never in doubt and that the Holy Spirit is greater than Satan; therefore, we need not concern ourselves with things like curses and spells and Satanic interference. Upon closer examination, however, what these verses don't declare is that we are free from all of Satan's attacks and demonic curses. "Be alert and of sober mind. Your enemy the devil prowls around like a roaring lion looking for someone to devour. Resist him, standing firm in the faith… " (1 Peter 5:8-9). We must consider that we have a demonic adversary who has a backpack full of dirty and deceitful spiritual tools designed to inflict harm and destruction upon unsuspecting Christians. God gives us a number of spiritual tools to resist, incapacitate and frustrate Satan in his attacks against us. I will mention them momentarily. If we define "curse" as wishing bad things to come to someone or to something, I suppose that we can consider the death threats I've received over the years as curses. I own two bullet-proof vests. No one ever told me that I would need even one. Death threats aren't over in one week. I remember preaching for over six months in my new vest while living in fear that Bill J would make good on his threat to kill me. He was angry with me for allowing his wife to give an offering to our church. Unfortunately, I was not the only one he was cursing. One night Bill J began a murder spree that killed two men in a nearby town, and was on his way to our home to kill again when the police encircled him and he committed suicide in his car. The police found 9 guns and 400 rounds of ammunition in the front seat—and a bazooka at his house. Fortunately, this undeserved curse did not come to rest on me. Few of us have curses as dramatic as Bill J had for me and eleven others. Let's assume, however, that there have been times when we have hurt or disappointed people. Depending upon how much we hurt them and their ability to forgive, they may consciously or unconsciously wish harm upon us. The Bible is full of cursing. The word "curse" appears almost 200 times; therefore, it is a significant issue for us to address. The Bible begins with God Almighty doing a lot of cursing. We don't read three chapters into Genesis before God Almighty began to curse. He cursed Satan for tempting Adam and Eve into sin (Genesis 3:17). He indirectly cursed all mankind when He cursed the ground so that weeds would sprout and man would work hard and sweat profusely in order to make a living from the cursed earth (Genesis 3:17-19). In Genesis 4:10-12 God placed a curse upon Cain for killing his brother. All of these curses were well deserved. As we read through the Bible we quickly discover that God provided blessings to those who obeyed Him and cursed those who disobeyed Him. To curse is to wish that bad things happen to someone or something. God cursed only as a punishment for not obeying him. On the other hand, to bless is to wish that good things happen to someone or to something. God promised blessings to those who carefully followed His commands. Deuteronomy 27-30 is a great example of the God Who both blesses and curses. In Deuteronomy 28, God announced to Israel that if they fully obeyed His commands He would pour out great blessings upon them. They would receive the following blessings: safety in travel; healthy children; bountiful crops; increased livestock, abundant food; victory over enemies; full and overflowing barns; success with all of their endeavors; successful investments; abundance of rain; and primacy over all other nations. On the other hand, God was just as determined to bring curses upon Israel if they ignored His commandments: "However, if you do not obey the Lord your God and do not carefully follow all his commands and decrees I am giving you today, all these curses will come on you and overtake you" (Deuteronomy 28:15). God is not the only one in the Bible who pronounced curses. Most of the curses in the Bible involve one person cursing another. Noah cursed his son Ham when Ham peeked at him while he was drunk and naked (Genesis 9:18-27). Shimei cursed and spit on David as David was fleeing Jerusalem ahead of Absalom's army of rebellion. Shimei was upset because David took over the Kingship from the family of Saul (2 Samuel 16:5-8 and 1 Kings 2:32-46). Joab wanted to kill Shimei on the spot; but, David stopped him by admitting that the curse was deserved. (By the way, David never got over the curse. As he laid dying he asked that Joab sever Shemei's "white-haired head" from his body). Intriguingly, Mrs. Job tried to get Job to curse God and die (Job 2:9;19:17). Satan prompted Mrs. Job's pleading to her husband. This was Satan's backhanded attempt to force Job to curse God. Before we go any further, let me share with you the spiritual tools I use to protect myself from Satanic attacks--including curses. Perhaps you will find one or more of these practices helpful in navigating the spiritual waters of life. First and foremost I pray for God to encircle me with a spiritual hedge of protection to insulate me from any personal or demonic designs. After all, if God put a hedge around Job that Satan couldn't penetrate without God's permission, then He can erect one around me. I pray Job 1:10: "Hast not thou made a hedge about him, and about his house, and about all that he hath on every side? thou hast blessed the work of his hands, and his substance is increased in the land." I want the protection and I want the blessing of prosperity as well. Next, I try to keep my life righteous and holy so that I open no door and give no opportunity for any curse to debilitate me in any way. I pray Proverb 26:2: "Like a fluttering sparrow or a darting swallow, an undeserved curse does not come to rest." Finally, be strong in the Lord and in his mighty power. Put on the full armor of God, so that … when the day of evil comes, you may be able to stand your ground, and after you have done everything, to stand. Stand firm then, with the belt of truth buckled around your waist, with the breastplate of righteousness in place, and with your feet fitted with the readiness that comes from the gospel of peace. In addition to all this, take up the shield of faith, with which you can extinguish all the flaming arrows of the evil one. Take the helmet of salvation and the sword of the Spirit, which is the word of God. And pray in the Spirit on all occasions (NIV). In addition, I think of people who have hurt me. Instead of wishing them evil and harm, I try to pray for their blessing and prosperity. After all, Jesus instructed us in Luke 6:28 to: "Bless those who curse you, pray for those who mistreat you." 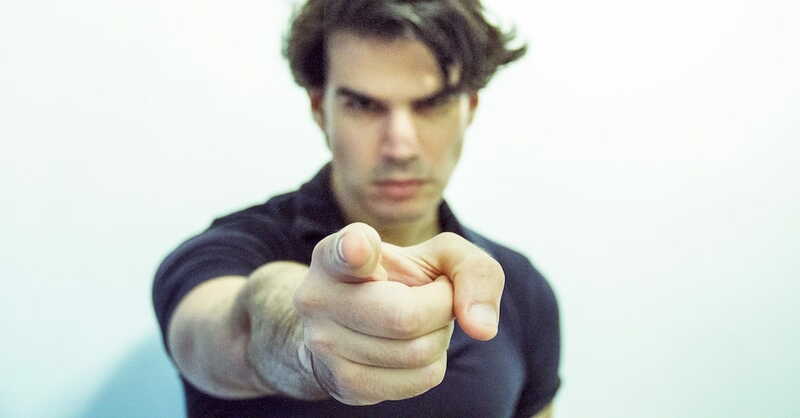 You see, if we curse those who've hurt us, we put ourselves in danger of Christ's judgment. Jesus said in Matthew 5:22: "But I tell you that anyone who is angry with a brother or sister will be subject to judgment. Again, anyone who says to a brother or sister, ‘Raca,’ is answerable to the court. And anyone who says, ‘You fool!’ will be in danger of the fire of hell." Finally, with gratitude, I remember that sin has placed the entire world under a curse. All of us have "sinned and fallen short of God's glory" (Romans 3:23). We know that payment for our sin is death (Romans 6:23; Deuteronomy 21:23). Fortunately, when we receive Christ as Lord and Savior, Jesus dies in our place on the cross. He takes the curse of death for us and the curse against us is now underserved. Death no longer rests upon us (Galatians 3:13). I have tried to deal with some of the practical out workings of curses. I have shared some the biblical foundations and practices regarding cursing. I hope that reading my response may give you more insight into the Biblical reality concerning curses. 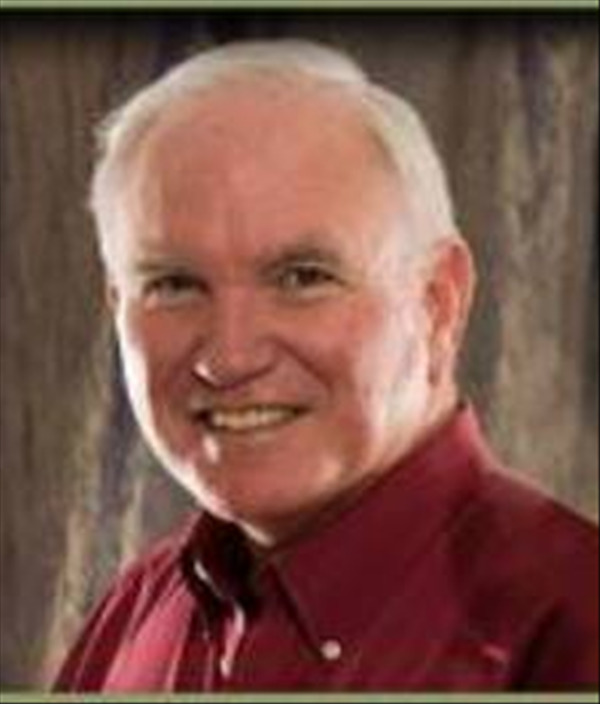 Dr. Roger Barrier retired as senior teaching pastor from Casas Church in Tucson, Arizona. In addition to being an author and sought-after conference speaker, Roger has mentored or taught thousands of pastors, missionaries, and Christian leaders worldwide. Casas Church, where Roger served throughout his thirty-five-year career, is a megachurch known for a well-integrated, multi-generational ministry. The value of including new generations is deeply ingrained throughout Casas to help the church move strongly right through the twenty-first century and beyond. Dr. Barrier holds degrees from Baylor University, Southwestern Baptist Theological Seminary, and Golden Gate Seminary in Greek, religion, theology, and pastoral care. His popular book, Listening to the Voice of God, published by Bethany House, is in its second printing and is available in Thai and Portuguese. His latest work is, Got Guts? Get Godly! Pray the Prayer God Guarantees to Answer, from Xulon Press. Roger can be found blogging at Preach It, Teach It, the pastoral teaching site founded with his wife, Dr. Julie Barrier.